We are one of the leading manufacturers, supplier and exporter of Di Potassium phosphate across India. We have more than 200 ton capacity of manufacturing Di potassium Phosphate in month. We can full fill the entire industrial requirement and with best price guaranteed. We provide Dipotassium phosphate in both grade in Pure and Tech . We offer superior quality Di Potassium Phosphate in Tech. Anhydrous/Pure Anhydrous grades to our clients. This product is synthesized from high grade chemicals, thereby yielding a product of high purity and high chemical stability. Di Potassium Phosphate is a common source of phosphorus and potassium. It is used as a food additive, and also in non-dairy creamers to prevent coagulation. Customers can procure the product from us in custom requirements at competitive prices.Used in Technical/Pharma/Plating Industry. We are one of the leading manufacturer, supplier, dealer, wholesaler and stockists of Di Potassium Phosphate in India. We offer superior quality Di Potassium Phosphate in Tech. Anhydrous/Pure Anhydrous grades to our clients. This product is synthesized from high grade chemicals, thereby yielding a product of high purity and high chemical stability. We are one of the leading manufacturer, supplier, dealer, wholesaler and stockists of Di Potassium Hydrogen orthophosphate in India. We offer superior quality Di Potassium hydrogen orthophosphate in Tech. Anhydrous/Pure Anhydrous grades to our clients. 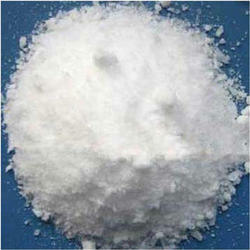 We are one of the Leading Manufacturers, supplier, stockist and exporters of Di Potassium Hydrogen Phosphate in India. We provide best quality Di potassium Hydrogen Phosphate with high purity. Usage Industrial, Technical/ Pharma/ Plating Industry. 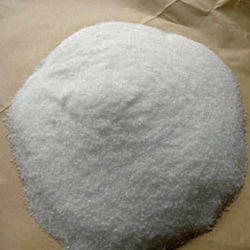 We are one of the Leading Manufacturers, supplier, stockist and exporters of Di Potassium Phosphate Anhydrous in India. We provide best quality Di potassium Phosphate Anhydrous with high purity.